Cross-Functional Flowcharts Solution offers you the best numerous collection of predesigned Cross Functional Flowchart examples, samples and templates, and Cross-Functional Flowcharts library with large quantity of ready-to-use vector stencils. 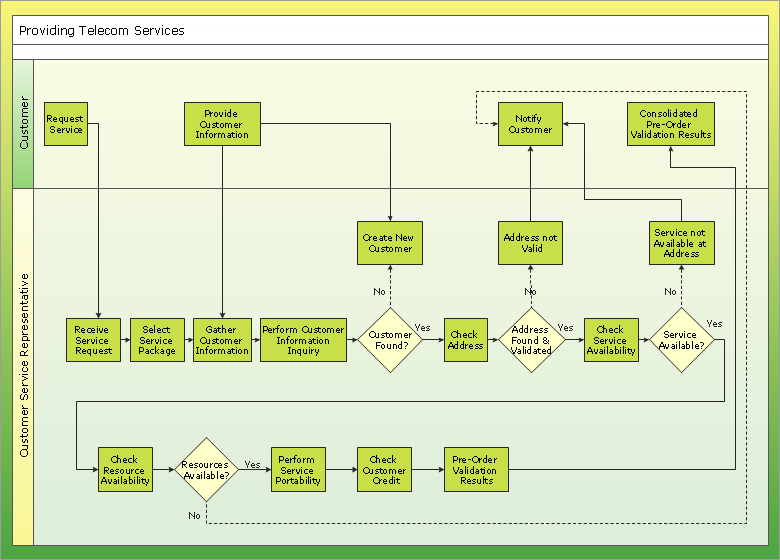 Use the Cross-Functional Flowcharts Solution for ConceptDraw DIAGRAM to create your own professional looking and attractive Cross Functional Flowchart of any complexity quick, easy and effective. Double-headed Cross Functional Flowchart: Providing Telecom Services. Using a Cross-Functional flowchart is a clear way of showing each team member’s responsibilities and how processes get shared or transferred between different teams and departments. 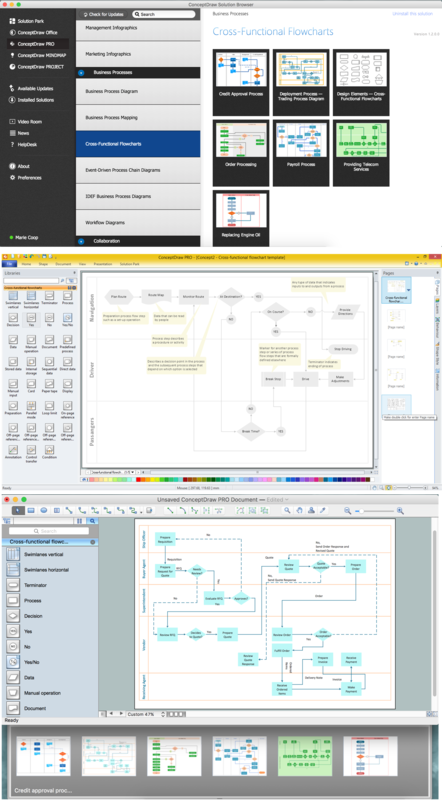 The ability to create Cross-functional diagrams is provided by the ConceptDraw Cross-Functional Flowcharts solution.